Yesterday, at Sony’s glitzy Paris Games Show presentation, a pastel, nonviolent game about being a human-dragon hybrid surprised viewers with its same-day announcement and release. 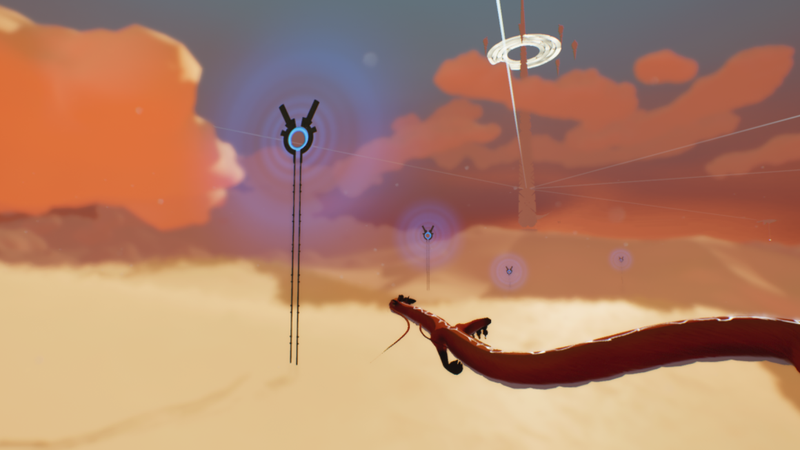 Presenters’ comparisons to the respected titles Abzu and Journey added to its branding as a chill, atmospheric game with lots of style (and a little mystery). I am an optimistic person who loves atmospheric games, so when I got home after work yesterday, I shelled out $20 and downloaded Oure. I don’t want to be ungenerous, but what I learned from my two hours with it is that two things can swiftly foil a game’s “atmospheric” vibe: item-collection mania and poor attention to detail. The story, ostensibly, is that this human child, boy or girl, was somehow born with special ancient dragon powers. We learn that, in the past, she had dreams about a big, sprawling cloudscape and, also, is interested in the history of titans, the mythological creatures that once protected the world. Early on in the game, we meet her as her parents coerce her through some glowing doorway into that cloudscape, which, this time, seems real. There, she must perform tasks to help calm down titans—yes, those same titans we heard about—who are apparently not doing so hot. The story unravels in fits and starts, often telling and not showing with disjointed voice lines and lots of silly cliches. 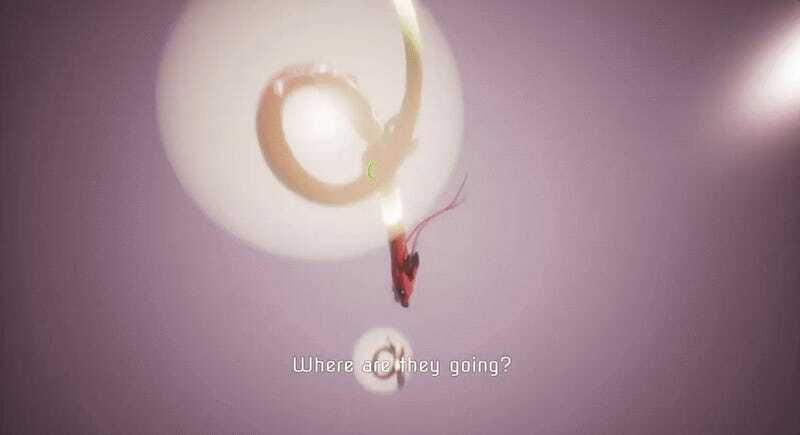 Oure’s gameplay is collecting orbs, shimmying through lit up goalposts and solving minor puzzles. A lot time is spent managing the dragon’s stamina, which is depleted by flying too much and restored by swimming through clouds. The player knows where to go by forming a circle with their dragon body, lighting up important spots and, yes, more orbs. Every ten or so orbs traded in, the player can climb some spire stairs and summon a titan. 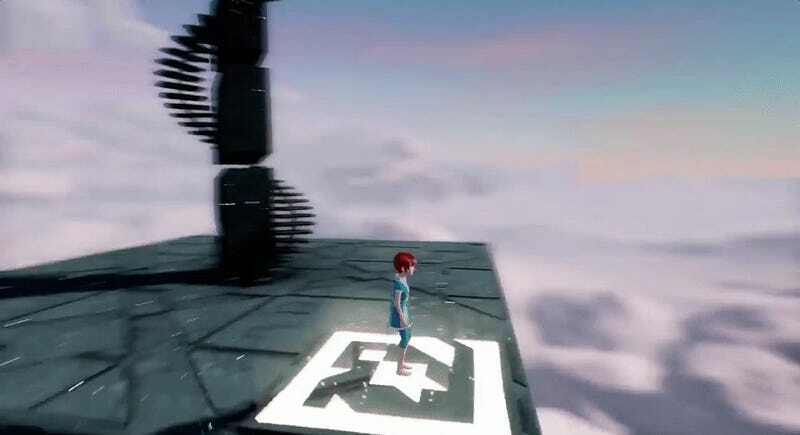 Each titan has a set amount of simple puzzles to solve until the kid is back to collecting orbs and hitting milestones. I can tell you the exact moment when I knew Oure was not working for me. I was a flying dragon and around me were glowing, floating orbs amid the clouds. Pretty typical video game stuff. I should have felt tranquility, weaving through clouds with a long dragon body, but instead, I had to track down orbs. Racing toward one, I collected it. Then, text popped up on the bottom of the screen. It read, “1/750 found.” Wow, I thought. This immediately feels less chill. 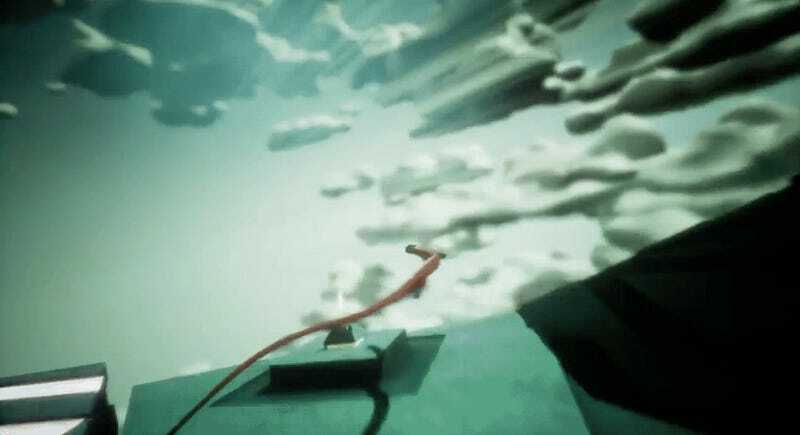 Adding to that sense of uneasiness were moments where Oure’s repetitive gameplay or weird writing jarred me out of its world, sometimes making me giggle in the process. Oure plays a lot like a prototype. Scene transitions are jerky or completely nonexistent. White screens or abrupt jumps in the character’s pose mark lots of those transitions. Also, when I play as the child, her mechanics don’t quite feel hammered out. Her jumping and walking actions feel bad and careless, both appearing overly mechanical and weird. She can’t climb stairs. All of this might be fine—and if I’m being generous, resemble a less polished Abzu—without the intense focus on acquiring lots of orbs and hitting milestones. But a few other things tore me out of the fantasy of the game: typos (“hilight destinations,” “It looks different to my books,” “Take action to affect change”), not being able to see orbs or destinations without curling into a circle and the game’s unsophisticated storytelling.